Two years ago I started producing The Works podcast in order to share stories about the built environment. Sometimes I've stretched the definition of what architecture is. In this month's episode, for example, I make the argument that the Lunar Module where astronauts lived while on the surface of the moon is technically part of the built environment and so should be considered to be architecture. This classification gave me an excuse to interview one of the twelve men who have walked on the moon. and I talked at length about what it's like to live for a few days on another world and to see things that very few people have ever seen. That conversation is included in the most recent episode called simply "The View". As always, please talk a moment to listen to the story and if you like what you hear, feel listen to the other nineteen episodes or subscribe to the podcast on iTunes where you can also rate the show and leave a comment. Although I didn't watch much of the World Series on Sunday, my understanding is that the Denver Nuggets defeated the Carolina Hurricanes. I wasn't paying all that much attention as I watched the game's the first inning, but after Denver kicked a birdie, a commercial came on that caught my eye. By now, Super Bowl commercials are hyped for being of exceptional high quality (or for being exceptionally bizarre). But even so this particular ad was noteworthy in that it told a tight, compelling narrative. It was like a little 60-second movie. We see an Aging Astronaut lost in his memories of his mission to the Moon from many decades ago. His son stops by for a visit and hears from his caretaker that his dad hasn't been eating and that this is part of an ongoing mental and physical decline. The son then has an idea and invites his dad to take a drive with him in his new car. 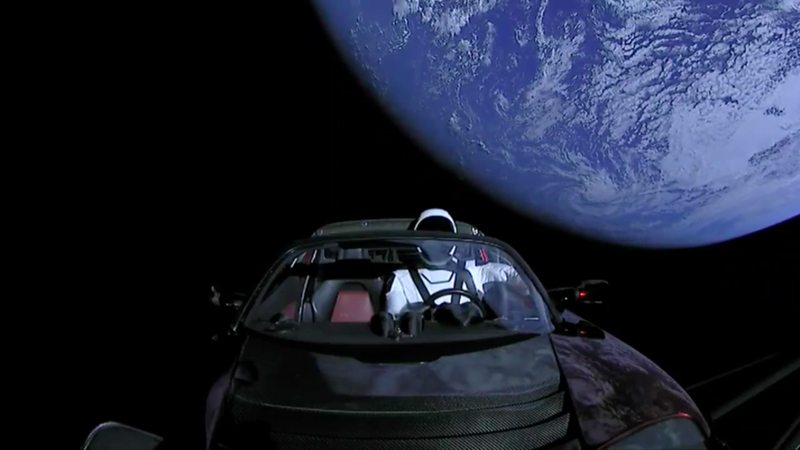 As he approaches this new car, we see images of a younger version of the Aging Astronaut as he made his way toward his spacecraft. We then see images of his past launch (or at least stock footage of the unmanned Apollo 4 launch) intercut with images of his present driving experience. 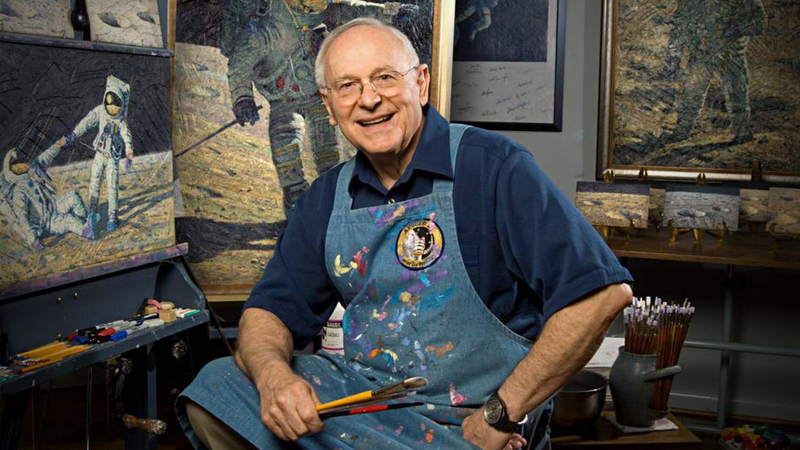 The Aging Astronaut smiles just as he did so many years ago as he was flying into space. I smiled as I watched the ad. My wife's response to seeing the sleek metallic grey car featured in the ad (The 2017 Audi R8 V10 Plus) was to say, "That's pretty." 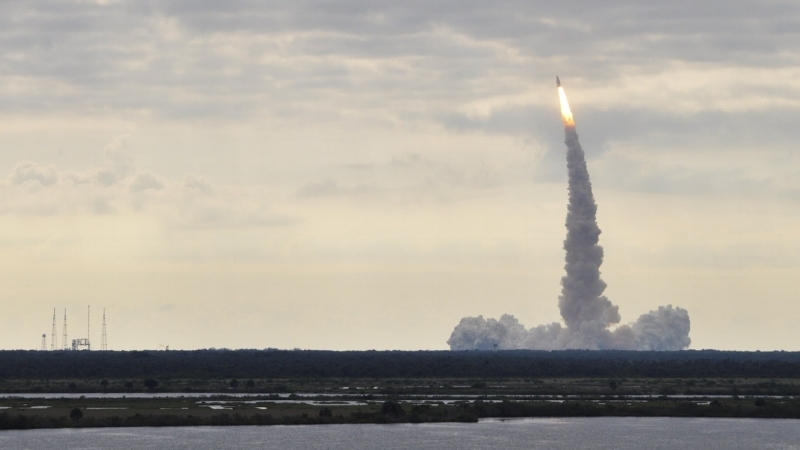 My child's response to seeing the footage of the rocket launch was, "Wow." It might seem odd for a German car company to use the past glories of the US Space program as a way of selling cars (this is especially true given the fact that GM had a close association with the US space program and famously provided Apollo astronauts with Corvettes). 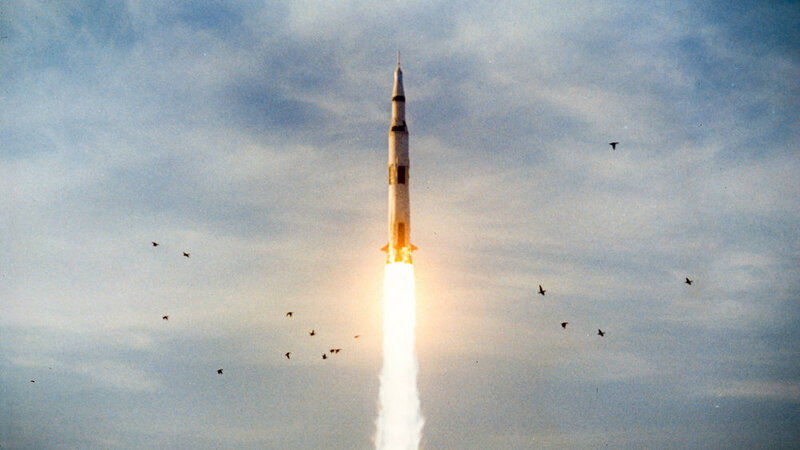 That being said, much of the engineering of the Saturn V rocket pictured in the closing seconds of the commercial was done by former Nazi scientists secretly smuggled out of Germany at the end of World War II. Their story is a fascinating one, but that's another topic for another blog post. Anyway, the commercial successfully conveys that Audi is something cool enough for young, attractive men (with $200k to drop on a sports car) but is also a piece of machinery that even retired astronauts can respect. More importantly, it has the power to bring these two generations together (provided the senior citizen you're hoping to connect with is a professional driver on a closed course). Audi really hopes that in the future you will think about this ad as opposed to the fact that Audi's parent company his been embroiled in a scandal stemming from engineering a way to intentionally cheat emissions testing (notice Audi dropped its "Truth in Engineering" tagline from the commercial). The ad was produced by Venables, Bell and Partners who have done a number of Audi's more recent commercials (interestingly, VBP also does "customer experience" consulting work and were responsible for the signage, messaging and event theme for the Barclay’s Center by SHoP Architects). The ad was directed by Craig Gillespie who has several filmmaking credits to his name including Lars and the Real and Million Dollar Arm. The production values of the commercial are incredibly high. The spacesuit worn by the younger version of the Aging Astronaut is a good reproduction of the A7L suit worn by the Apollo Astronauts (and designed and build by a women's undergarment company - another story for another day) who flew to the moon in the late 1960s and early 1970s. It should be noted, however, that although this particular suit did make use of both blue and red collar rings, they never did so on the same flight (the commercial shows the younger version of the Aging Astronaut with a red neck ring whereas his mustached wingman has a blue collar). Apparently the Aging Astronaut has no memory of the third crew member who would have flown with him on an Apollo mission which is all for the best as it makes for a tighter narrative. 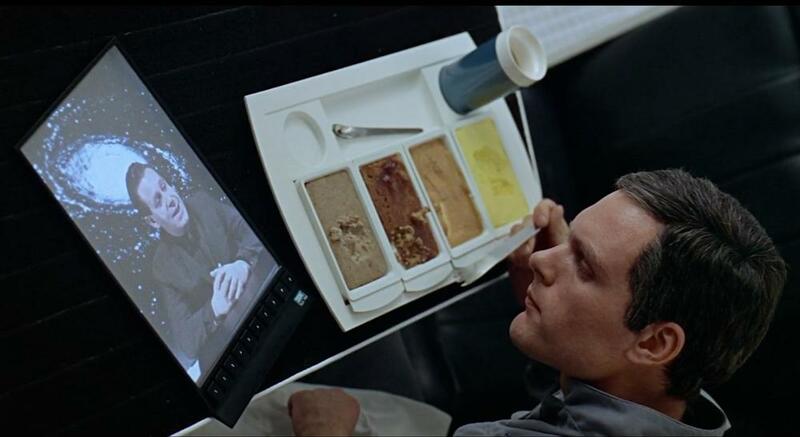 But perhaps the most significant - and perhaps the saddest - accuracy in the commercial is that the Aging Astronaut is depicted as being rather old. Most of the astronauts were in their late thirties when they went to the moon (if anything the younger version of the Aging Astronaut may be too young). 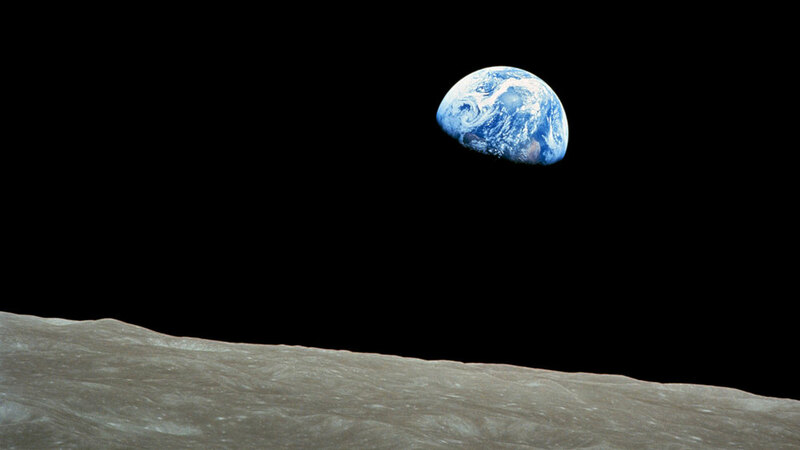 The last Lunar landing occurred in 1972, almost 45 years ago which means that of the twelve humans that have walked on the moon, all of them who are still alive are into their 80s today. Just this past week, Ed Mitchell passed away in West Palm Beach, Florida. He was the last surviving member of his Apollo 14 crew. It is a sad fact that there will come a time in the not-too-distant future when there will no living person who has walked on the surface of another world. It's not often that a car commercial gets you ponder mortality, but then again, this is the Super Bowl we're talking about. 'Cause he knows it's all worthwhile. There is relatively little overlap between people who watch football and those who read this blog. And so it may come as news to you that UT beat Rice last night 42 to 28. To be perfectly honest, I don't care. But why, some say, the moon? Why choose this as our goal? And they may well ask why climb the highest mountain? Why, 35 years ago, fly the Atlantic? The above text is the version that is reprinted in most articles about the speech and what is heard in most documentaries. 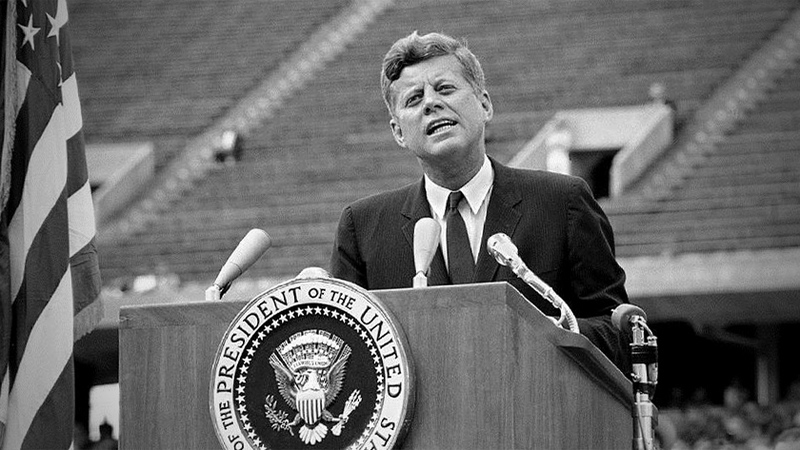 You hear the audience cheer when Kennedy declares, "We Choose to go to the moon." That narrative makes sense. The President speaks an inspirational line and those listening applaud in support. Unfortunately that's not what they're cheering about. In the reprinting of the speech, a line has been removed. The inside joke about Rice playing the University of Texas was one that was appreciated by the audience that day that included many Rice students. They understood that in these contests, Rice usually doesn't win. Their applause in response to that throw-away line about the difficulty of traveling to the moon is what is misinterpreted as applause about choosing to go to the moon. Later in the speech you hear the audience cheer again as Kennedy make a joke about how hot it is in Texas in September. You can watch an excerpt of the speech here that includes the audience reaction to the line about Rice playing Texas and the heat. It's understandable why the line is so often removed. It doesn't make much sense outside of Texas and I suppose it diminishes somewhat the rhetorical power of the line that immediately follows. Still, it's another good example of the intertwined histories of Texas and American spaceflight. 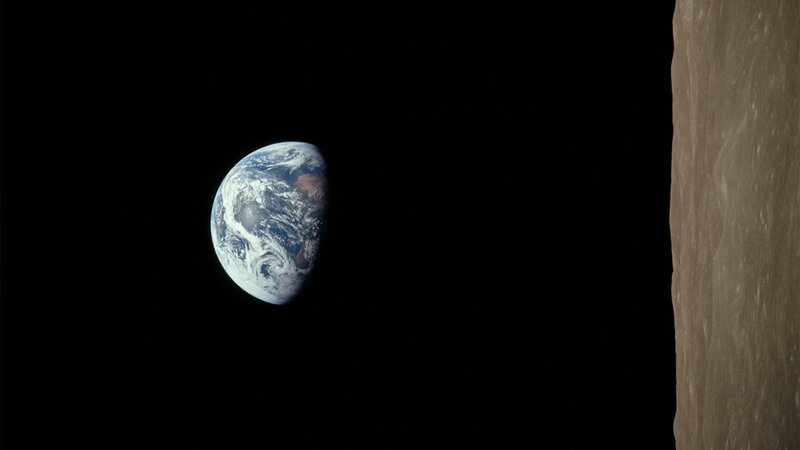 And speaking of the history of American spaceflight, less than six years later the impossible was achieved when Apollo 11 landed on the moon in July of 1969. But by then the impossible had already been achieved. In October of 1965 Rice beat Texas 20 to 17. I just returned from attending the Texas Society of Architects Convention and Design Expo in Houston. 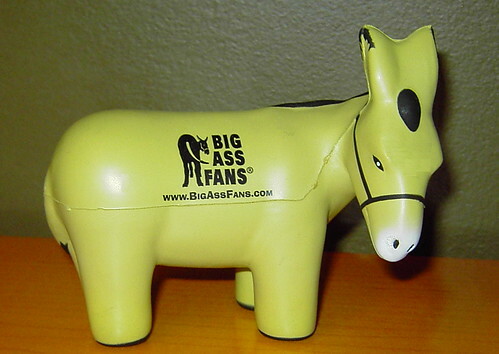 The event represents an great opportunity to visit with colleagues, catch up with friends, lean some new things about the profession and receive useless swag from vendors whose products I may never actually use. 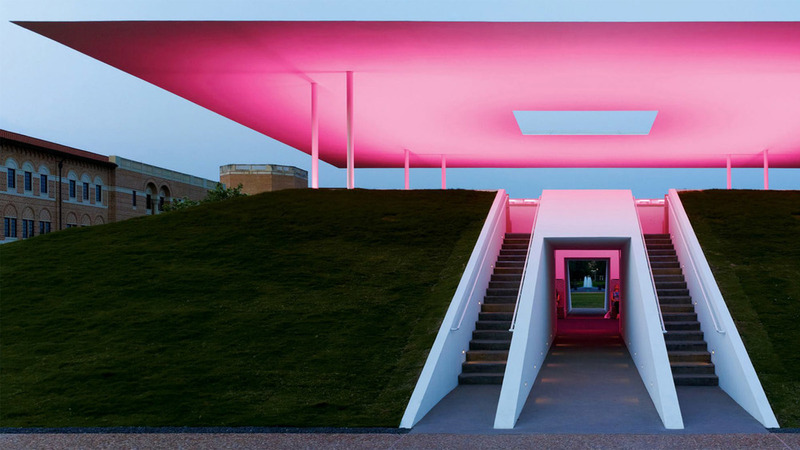 It also represents an opportunity to explore the host city and while in Houston I made a concerted effort to explore the relatively new James Turrell Skyspace on the Rice University Campus. Turrell is an American artist whose body of work spanning four decades has focused almost exclusively on light. Many of his larger, more recent projects have been "skyspaces", outdoor rooms with a single, framed opening to the sky. Turrell uses this aperture to frame the sky, allowing the visitor to perceive its color, intensity and depth in a way not normally possible. This is intensified by the artificial illumination of the ceiling plane which varies, causing the visitor's perception of the sky to change in unexpected ways. 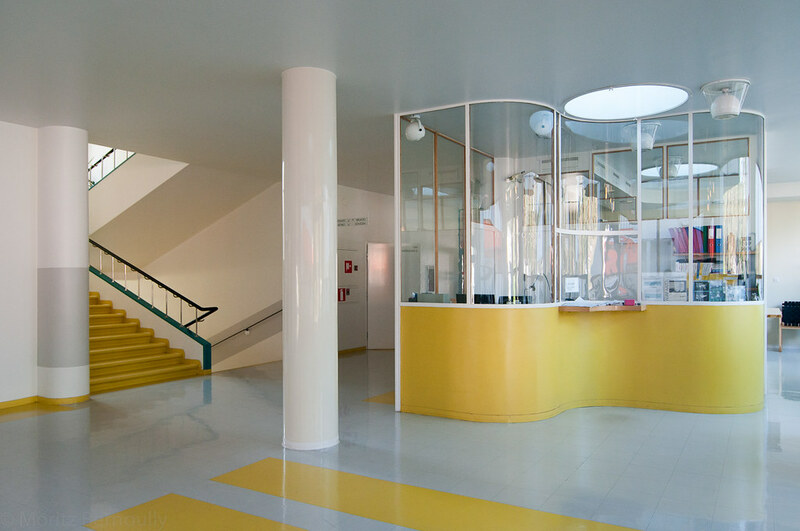 As little pieces of architecture, these sky spaces are beautiful, but the experience of visiting one is transcendental. “Twilight Epiphany” - the official title of the project at Rice - was completed in 2012 and is one of Turrell's larger installations with two viewing levels. I had visited it before during the day but I wanted to make sure I was able to see it at dawn and dusk when it truly becomes alive. And so on Thursday evening I went there with friends and it was an enjoyable communal experience. But the following morning I returned and had the space and the experience to myself. At first the oculus of the Skyspace is a black void surrounded by an intense frame of slowly, almost imperceptibly chaining colors. When the sky is first kissed by the light of dawn, there is a period of time where the sky acts as a blank canvas whose perceived hue appears to vary wildly depending on how the ceiling plane is illuminated. This is where the magic occurs. This was also when I noticed what appeared to be a pulsating star cross diagonally across the oculus. It was too intense to be a star, but its speed and apparent altitude seemed to imply it wasn't a airplane either. As I sat wan continued to focus on the sky, it occurred to me that it might have been the International Space Station that will occasional pass overhead as it orbits the Earth 260 miles above its surface. It was a beautiful connection between art and science, nature and man, the finite and the infinite, the heavens and the earth. It was also a good reminder of the importance of taking time to sit and look at observe the overwhelming beauty of the world. Every year we try and produce at least two hypothetical designs. Last year we entered a couple of competitions including a design for the remaining structures from HemisFair '68 and a proposal for how to reuse the Astrodome. 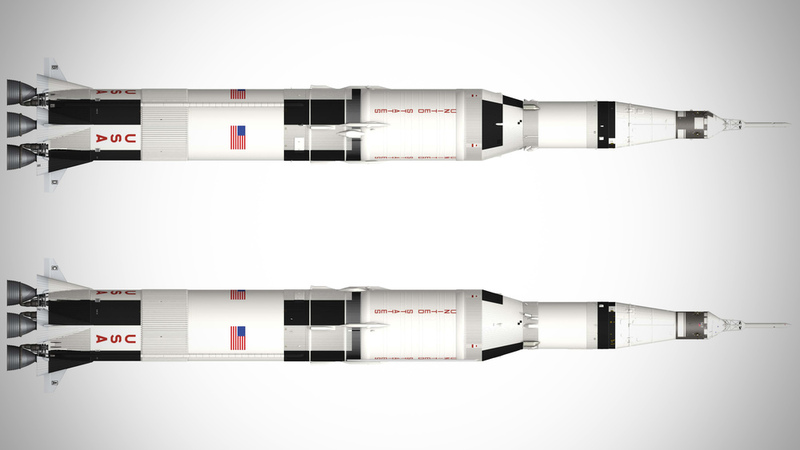 This year we looked skyward, designing a mission patch for a space tourism company and most recently, a new structure to house Houston's Saturn V rocket. When I recently took my daughter to visit the Johnson Space Center in Houston I was impressed by how good the restored Saturn V rocket appeared but was incredibly underwhelmed by the structure that was built to protect one of only three surviving spacecraft built to fly men to the moon. Surely one of the most impressive artifacts of 20th century engineering deserved a more fitting container. We certainly felt that way and so we endeavored to design one. In the weeks since completing the design, we've been pleasantly surprised by the amount of press coverage we have received. 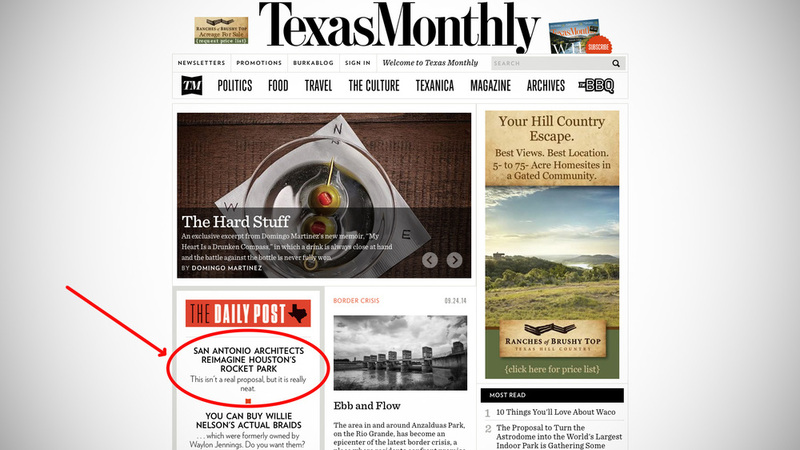 We were especially flattered when a story about the proposal in Texas Monthly was posted above a story about Willie Nelson. Our modest proposal seems to have started a discussion which is as much as we could have hoped for. 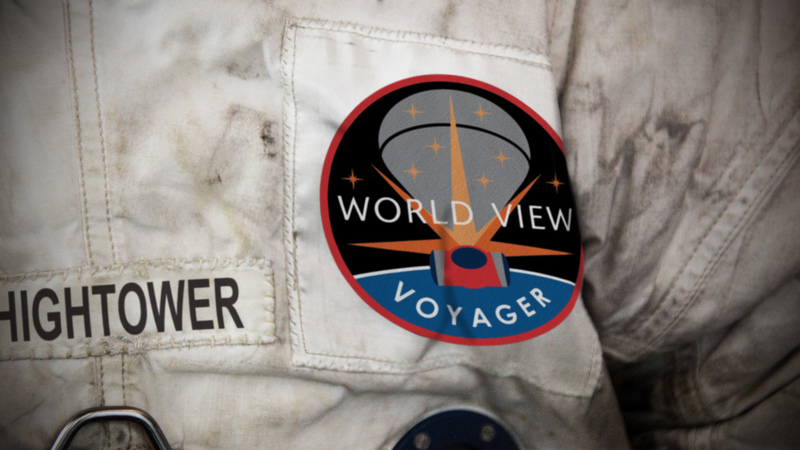 A few weeks ago I mentioned that our office developed a design for the mission patch for those flying to the edge of space as part of the World View Experience. With help form Julie Pizzo Wood and Christian Collins we came up with a design that we were quite pleased with and it turns out the jury liked it as well. It was announced this morning that our design was officially selected by the organization and so if all goes according to plan, in the next few years this patch will fly on every World View flight. World View is a space tourism company that plans to offer interested parties a ride to the edge of space under a large high-altitude balloon. At $75,000 a ticket, it's a bargain compared to most other ventures. A ride on Virgin Galactic's SpaceShipTwo, for example, will run you $250,000. 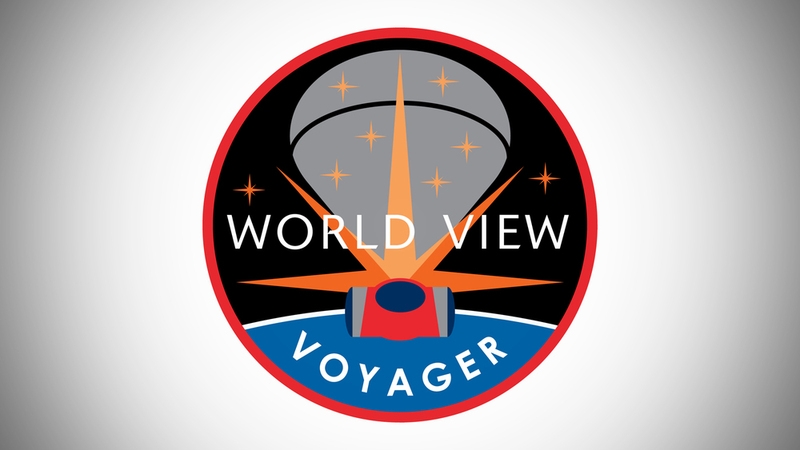 I'm not going to be purchasing a ticket for either of these adventures anytime soon, but when I learned that World View was sponsoring a design competition to imagine a mission patch for its voyagers I thought I should give it a shot. Mission patches go back to the early days of the Gemini program. Usually designed with input from the crew, the best examples represented a bold representation of the mission while containing symbolic elements that tell a larger story. 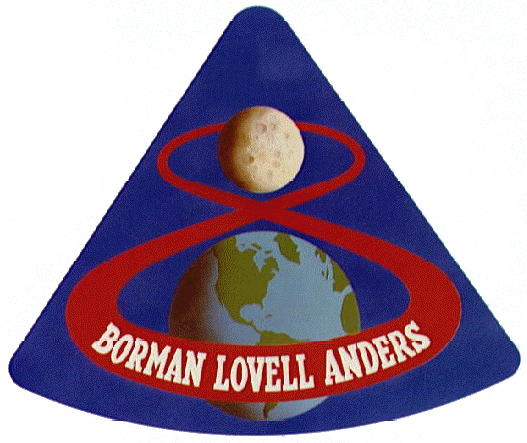 Apollo 8, for example, was the first manned voyage around the moon and so its patch was comprised of a stylized "8" showing its path around the earth and moon. With help from Julie Pizzo Wood and Christian Collins, we developed a concept that illustrated the World View "pod" being hoisted to the threshold of space by its helium-filled balloon. Momentarily eclipsing the sunrise, the pod also frames eight stars, symbolizing the six passengers and two crew members who will be aboard each flight. If you feel so inclined, please vote for our design (as you scroll, our design is about midway down on the left). It does require you to register your email, but you can opt-out of inclusion on their mailing list. 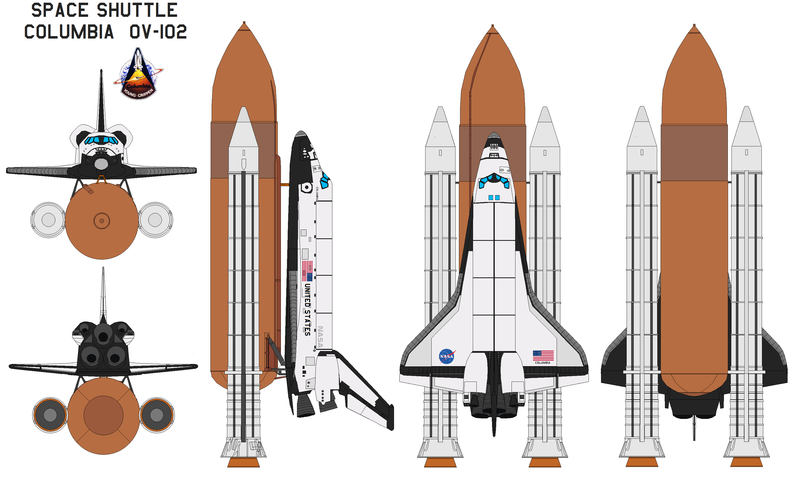 Even if we aren't going be be flying to space anytime soon, with your help, at least there is a chance that something we designed will be able to make the trip. Last Saturday I had the opportunity to speak at this year’s San Antonio TEDx conference at Rackspace Global Headquarters here in San Antonio. To be sure it was an honor to be selected to speak but even more so it was an amazing event to experience. Being able to work with and interact as much as I did with my fellow speakers made the event all the more profound. In addition to coming away from the experience with more than a few “ideas worth sharing”, but I also made a group of friends with whom I’m sure I will stay in contact for some time. The act of crafting and delivering a talk also gave me the opportunity to make connections that had not been made before. I spoke specifically about my work on county courthouses and how they helped transform Texas from a mostly poor and rural condition into the modern state it is today. I had always thought that this interest was wholly separate from spaceflight - another subject I have spoken about in the past. But a UTSA graduate student I met at the event made me realize that courthouses and spaceflight serve the same purpose even if they did so at different times. The power of both comes from their ability to harness our dreams to move society forward. 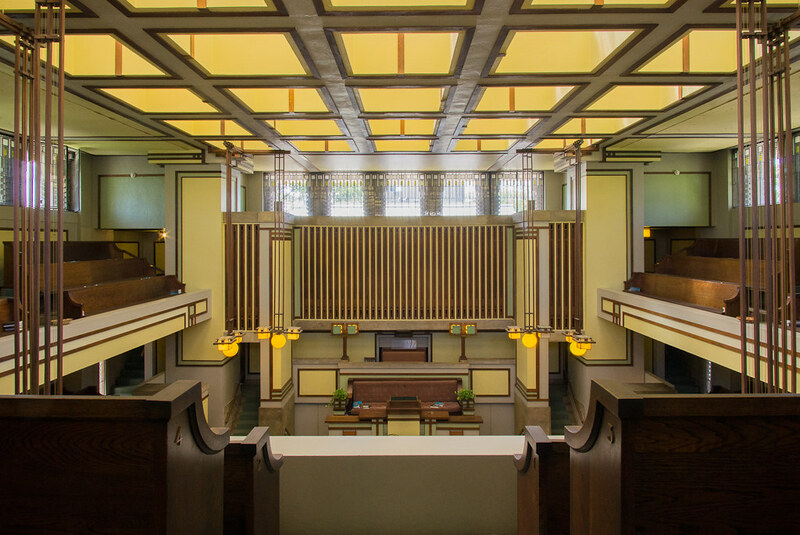 Courthouses inspired Texans to build a modern state that was civil and just and so was critical to the advancement of Texas in the 19th century. Likewise, the space program inspired America to become the leader in technology and innovation that it was throughout the second half of the 20th century. Courthouses and the space program both had an immeasurable ability to inspire that made them so critical to the advancement of society. 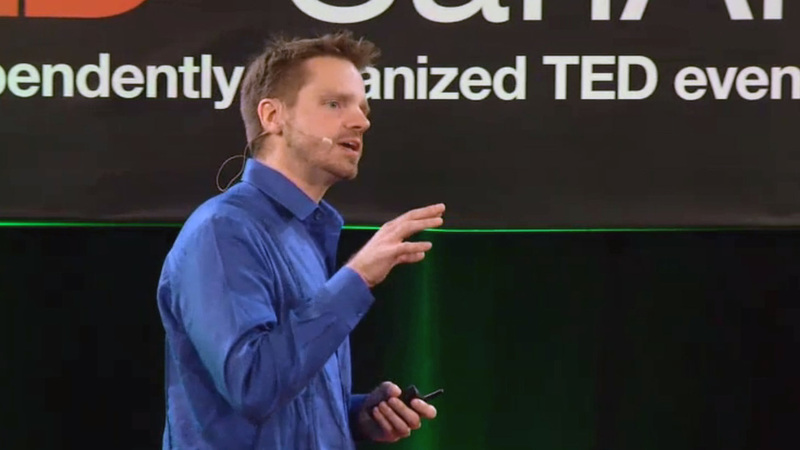 At any rate, I’ll post my individual talk as soon as it’s available but in the meantime, a video of the entire eight hour day can be found here.